Andy Carroll will have a medical with West Ham on Wednesday as he moves closer to a permanent move from Liverpool, Hammers chairman David Gold has confirmed. West Ham have completed the signing of goalkeeper Adrian on a free transfer from Real Betis. The Football Association has decided against charging West Ham or Millwall after investigating allegations of discriminatory abuse during two separate matches involving the clubs. West Ham United?s first year back in the Barclays Premier League ended very successfully after finishing in 10th place. Crystal Palace and West Ham will battle it out for 22 year-old Barcelona defender Marc Bartra. West Ham have confirmed that former England striker Carlton Cole will leave the club this summer. West Ham United have announced the signing of Romania captain Razvan Rat on a free transfer on a one-year deal. Andy Carroll maintains he has enjoyed every minute of his season-long loan at West Ham but the long-term future of the England forward remains unclear. Big Sam was happy after seeing his side overcome Reading with a thumping 4-2 victory on the final day of the season. The Hammers boss was quick to praise his Captain Kevin Nolan for his hat-trick. Kevin Nolan was over-the-moon to have secured all three points in the Hammers’ final game of the season with a ‘perfect hat-trick’. Manager Sam Allardyce says signing Andy Carroll on a permanent deal from Liverpool is West Ham’s ‘main priority’ over the summer. West Ham 4-2 Reading- Match Report. Confirmation of the starting eleven and substitutes named for this afternoon’s fixture at home to Reading. West Ham thumped relegated Reading 4-2 courtesy of a Kevin Nolan hat-trick to end the season on 46 points and secure a top-ten finish for the Hammers. West Ham V Reading at Boleyn Ground – Match Preview. West Ham United take on Reading tomorrow afternoon in the Barclays Premier League. Check out the complete history of results between the two teams. FootyMad attempt to assist you with their form guide as West Ham United take on Reading in a Premier League match on 19th May 2013 at 16:00. Andy Carroll has been rewarded for his fine form for the Hammers towards the end of the season after being named in the England squad for their friendlies against the Republic of Ireland and Brazil. West Ham midfielder Jack Collison has called upon his Hammers team-mates to give it one final push to secure three points against already relegated Reading on Sunday. 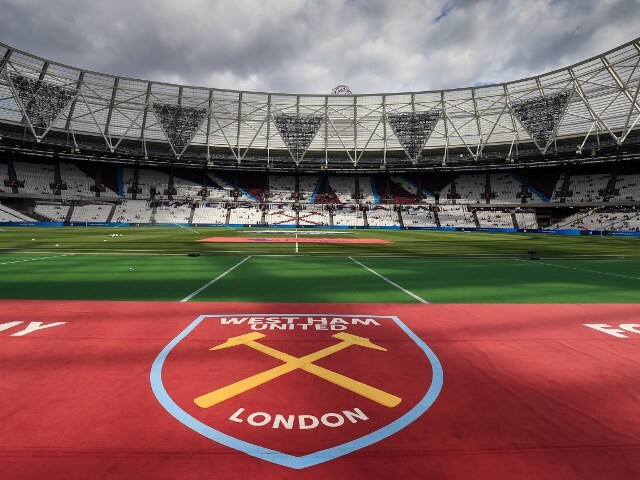 West Ham’s plan to move into the Olympic Stadium has the backing of 85% of the club’s supporters, according to a comprehensive poll conducted by SMG YouGov. Big Sam has given his reaction to signing a new contract with the club. Sam Allardyce was not pleased as his side was defeated 2-0 at Goodison Park. Everton V West Ham at Goodison Park – LIVE. West Ham left Merseyside with nothing to show for their efforts as they were comfortably beaten by Everton in David Moyes’ final home game. West Ham manager Sam Allardyce says he will finally sign his new contract at the start of next week. Everton take on West Ham United tomorrow afternoon in the Barclays Premier League. Check out the complete history of results between the two teams.